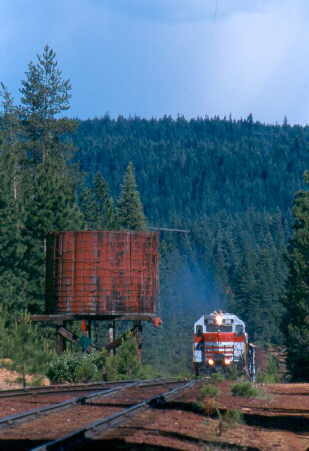 This photo shows the #39 westbound at Bartle Tank with a short train from Lookout Junction in 1996. 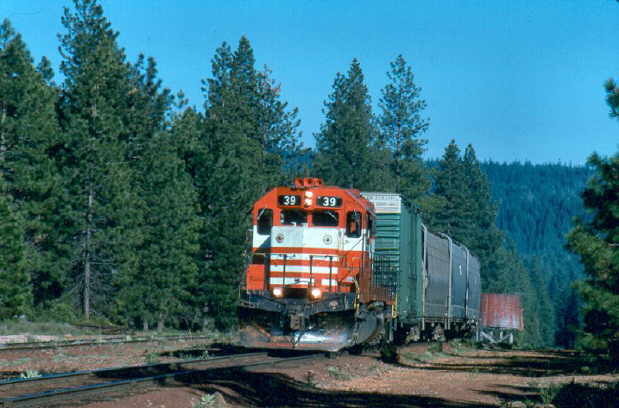 In this photo, the #38 and a sister unit are seen switching at the Berry Wye in 1997. 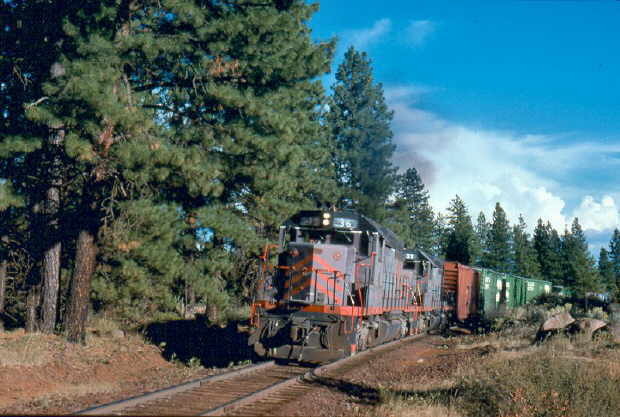 This photo shows #36 and #37 departing Lookout Junction for McCloud in 1991. 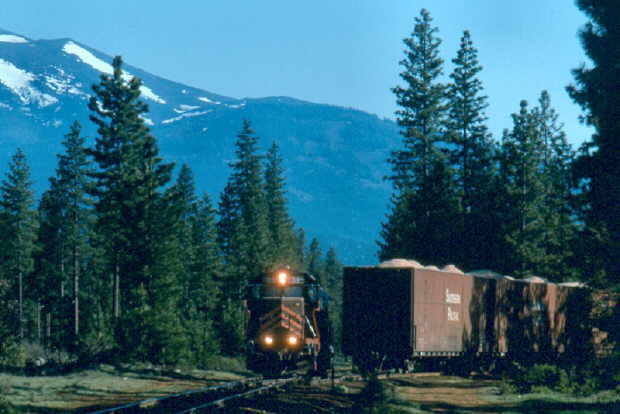 This photo shows a westbound freight returning from Burney at the Bartle tank in 2003. 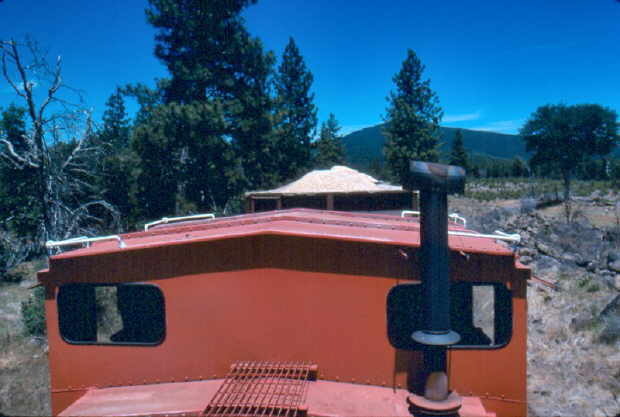 This photo, taken over the roof of caboose #102, shows a McCloud-bound freight from Burney near Cayton in 1990.